Government 'still on course' for decision on DAB switchover in 2013 | What Hi-Fi? The Government is 'still on course' to make a final decision on the timing of DAB radio switchover in 2013, says culture minister Ed Vaizey. Speaking at today's Intellect Conference in London on 'The Future of Digital Entertainment', Vaizey said: "We have made excellent progress in establishing a minimum specification for domestic and in-vehicle receivers, and in considering the specific usability needs of people with disabilites and older people." "On cars, around 14 per cent of new vehicles have DAB as standard, up from 4 per cent a year ago. Ford has announced that all its vehicles will be DAB as standard by the end of 2012, while BMW and Vauxhall have made similar announcements." 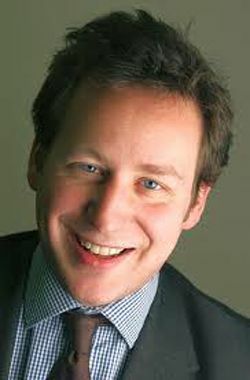 But Vaizey admits "there are still challenges to come". "We are working closely with the multiplex operators and broadcasters to agree the funding mechanisms and timetable for the build-out of local DAB. We remain confident that agreement can be reached and that the necessary build-out of the local and national DAB platforms will be made to support a positive switchover decision." The aim is to create a clear plan for "FM equivalent coverage" by 2013. As for digital TV switchover, Vaizey says a third of UK homes, including all of Scotland and Wales, have already successfully made the switch. The remaining regions, including London in April next year, are on track to be completed by the end of 2012. "By 2015, we will be firmly on the path to being a fully digital nation," the minister says. "TV switchover will have been completed in 2012. Our broadband infrastructure will be the best in Europe. And with a following wind, we should have 4G services running in a competitive mobile market place."